Until recently I was a member of a writing group which met up regularly to discuss each other’s projects. During these sessions I was lucky to have read the work of a writer called Aiden O’Reilly, a confident, gifted wordsmith who has a vast amount of material published in some of the best literary journals out there today. What I love about Aiden’s work is the complex undertones in the stories and the sense of darkness which weaves through the lives of ordinary people and situations. His characters are often so well formed that they stay with you a long time after reading the piece. 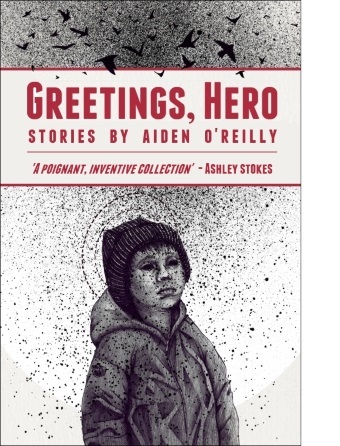 I was delighted to hear that his short story collection entitled ‘Greetings, Hero’ is to be launched in September by Honest Publishing. I look forward to reading this entire collection by a writer who is totally dedicated to the craft.